We love all the jewelry in our showcases. But the ones we love best aren’t the ones behind the glass. 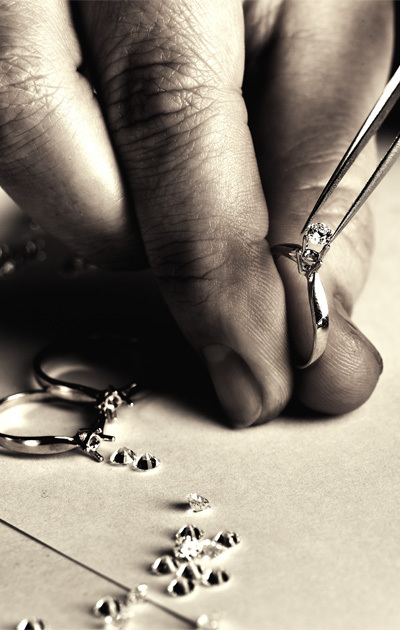 They’re the pieces we’ve created just for our customers – our custom jewelry. Jewelry tells the world a bit about you – your style, your attitude, maybe even your passions. Custom jewelry from W.R. Chance Diamond Jewelers takes that idea one step further. It shows the world what your ideas and our expertise can create, and it speaks volumes about what makes you smile. Custom jewelry isn’t just a specialty for us, it’s a passion. It’s a chance to design something truly special, something that may be passed down for generations. 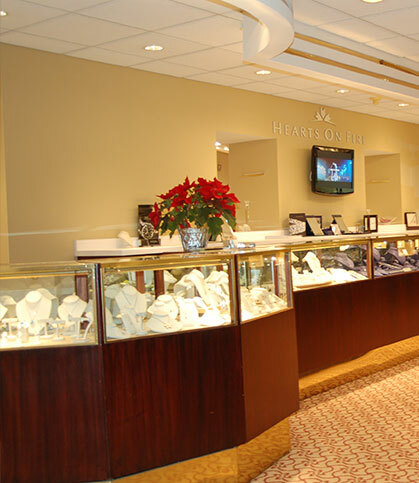 Our on-site jewelers create a custom design for you by modifying an existing piece of jewelry, setting new stones into an existing mounting, or by designing a completely unique piece from the ground up. Don’t think you can afford custom jewelry? Think again. Believe it or not, custom doesn’t necessarily mean expensive. We can create a unique piece of jewelry for you at a price comparable to what a similar ready-made piece would be. Every custom creation begins at the same point. It begins with you. We start each job by learning about you, your likes and dislikes, and your lifestyle. Tell us what you want, what you need, and what you love. We’ll incorporate your favorite stones, types of setting, and other design elements. And we’ll talk about metal. Deciding which type of metal we’ll use for your creation is based upon your preferences, your lifestyle, and your budget. This decision is critical to the look and durability of the jewelry. Our artisans take all that we learned from our meeting and develop a detailed custom design sketch of your jewelry through our CAD software. Then we create a wax model of your finished piece. This model will be used to cast your final design, so every detail has to be correct before we go to the final phase – casting the actual piece. When you give us your approval for the model, we cast your custom design, sand and polish the metal, and set the stones. Then comes the most exciting part of the process – presenting you with that custom piece of jewelry you’ve been dreaming about. It’s hard to say who is more excited at every presentation – our clients or our staff!